October 2, 2018 – The Center for Human Rights in Iran (CHRI) condemns the execution of Zeinab Sekaanvand Lankarani who was charged with murder as a juvenile and hanged in violation of all international laws and standards, and calls on the Iranian judiciary to immediately halt the executions of all juvenile offenders. “Iran claims it doesn’t execute juveniles but it isn’t fooling anyone by arresting minors and waiting until they’re adults to hang them,” said CHRI’s Executive Director Hadi Ghaemi. “Zeinab Sekaanvand was married off at 15, jailed at 17 and later executed for the charge of murder despite evidence that she had been forced to confess to the crime under torture,” Ghaemi added. After her arrest in March 2012 for allegedly murdering her husband, who she said had subjected her to repeated physical and verbal abuse, Sekevaand was held in a police station in Oroumiyeh for 20 days and subjected to torture by police officers “through beatings all over her body,” Amnesty International reported. Iran is one of the few countries in the world where juvenile offenders continue to be executed. Sekaanvand was hanged in Iran’s Orumieh Central Prison, West Azerbaijan province, on October 2, 2018. Sekevaand is the fifth known juvenile offender to be executed in Iran since January. She had one daughter and was 24-years-old at the time of her death. 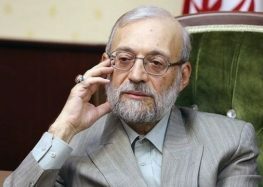 According to the advanced unedited version of the Report of the Special Rapporteur on the situation of human rights in the Islamic Republic of Iran, submitted to the UN General Assembly in October, the following juvenile offenders were also hanged in the first six months of 2018: Amir Hussein Pourjafar, Ali Kazemi Mahboubeh Mofidi and Abolfazl Chezani Sharahi. The UN also reported that at least 85 juvenile offenders were on death row in Iran as of June 2018. Sekaanvand’s lawyer requested an appeal based on questions regarding the evidence and Sekaanvand’s statements that she had been forced to confess, but the judge would not grant the appeal. “The hard work we did in these past few years and our requests for judicial reviews by the Supreme Court all came to nothing,” said attorney Rita Toutounchia. Sekaanvand’s lawyer had also asked the husband’s family to forego the execution, a practice allowed under Iranian law, but the family refused. The UN has called on Iran to stop allowing juveniles to be executed under the Iranian law of “retaliation in kind” (qisas) for the crime of murder upon the request of the next of kin of the victim. According to the International Covenant on Civil and Political Rights (ICCPR) and Convention on the Rights of the Child, it is illegal to execute someone for crimes committed under the age of eighteen. Iran is a party to both treaties. “We may never know who killed Sekevaand’s husband but we do know that this young woman was held responsible for the crime while she was a minor and hanged without a fair chance to defend herself,” said Ghaemi.